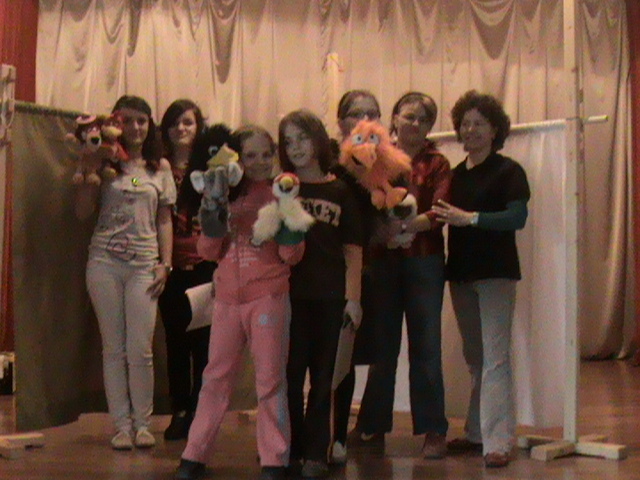 Millennium Center Association is developing nowadays a new project in the framework of the “Youth in action” program, Action 1.2 – Youth Initiatives, named “Puppets’ Stories”. 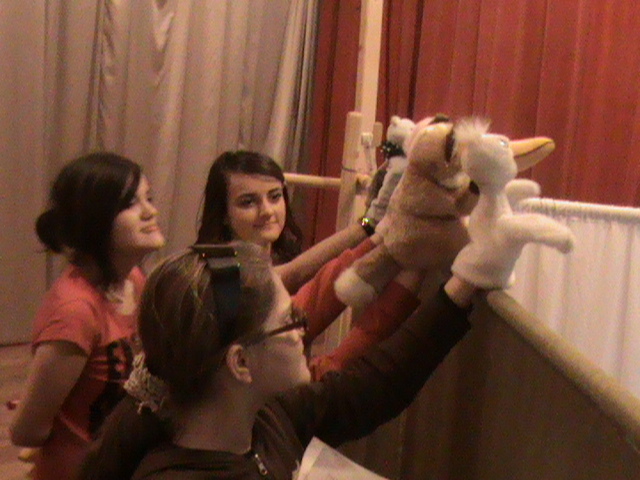 This project has started in November 2008 and will end in January 2009 and it was implemented in collaboration with the “Children’s and Pupils’ Palace” Arad, section of the Puppets’ Theater. This project has been written and is coordinated by Michal Piatek, member of Millennium Center Association, together with a group of initiative, a group of youngsters who, besides the help offered to the coordinator of this project they also act in some plays, give a helping hand at the creation and organization of the scenery and also write other plays. These youngsters are: Andra Vişan, Roberta Radac, Bogdan Dance and Alina Racoviţă, member of Millennium Center Association. The project would like to propose the creation of 10 puppet and shadow plays on different themes: 4 plays about Romanian history, 3 plays about Romanian culture, one play about the Polish history and culture, one play about xenophobia and anti-racism and a play about the “Youth in Action” program. The last activity will consist in a different play, realized in the “Curcubeu” Center, play that will be represented by the Rroma minority from the above mentioned center. In the present, 3 of the plays are in the process of development under the supervision of Mihaela Săuliac – Andrei, teacher at the Puppets and Shadows Circle from the “Children’s and pupils’ Palace” in Arad. Two of these plays will be presented in some festivals that take place in Iaşi and Sighişoara. To be more specific, the plays mentioned before are: „The Story Goes On” (play that wishes to reproduce in an original way the traditional Romanian wedding) in the “Pantomime” Festival in Iaşi and also the play – „Vodă” (historical play describing some moments from the Romanian history. This second place will appear in the “Medieval” Festival in Sighişoara. The third play, entitled “Dacia”, combines somehow the the Romanian culture and history. The main character of this play will be a Dacia car, which will travel throughout Romania and will discover all those beautiful things that can be found in our country. Taking into account the fact that the school year 2008-2009 is about to end, the initiative group, the coordinator and the team from the puppets’ theater is organizing, apart from those plays, a theatrical micro stage. This will take place on the 6th of June, starting from 17 PM in the festivity hall of the Children’s and Pupils’ Palace in Arad. All those interested to know the results of the efforts made by those who have been working on this project are expected to take part to the event. The entrance is going to be free.